Henry Mintzberg, wrote an excellent article for the Wall Street Journal today, No More Executive Bonuses! Don’t pay any bonuses. Nothing. This may sound extreme. But when you look at the way the compensation game is played – and the assumptions that are made by those who want to reform it – you can come to no other conclusion. The system simply can’t be fixed. Executive bonuses – especially in the form of stock and option grants—represent the most prominent form of legal corruption that has been undermining our large corporations and bringing down the global economy. Get rid of them and we will all be better off for it. So, again, there is but one solution: Eliminate bonuses. Period. Pay people, including the CEO, fairly. As an executive, if you want a bonus, buy the stock, like everyone else. Bet on your company for real, personally. Too many large corporations today are starved for leadership – true leadership, meaning engaged leadership embedded in concerned management. And the global economy desperately needs renewed enterprise, embedded in the belief that companies are communities. Getting rid of executive bonuses, and the gambling games that accompany them, is the place to start. The obscene pay is not just a matter of people taking a tens of millions of dollars they don’t deserve. Companies whole management systems are distorted in ways that lead the company to risk all the other stakeholders future for the potential gain of a few senior executives. 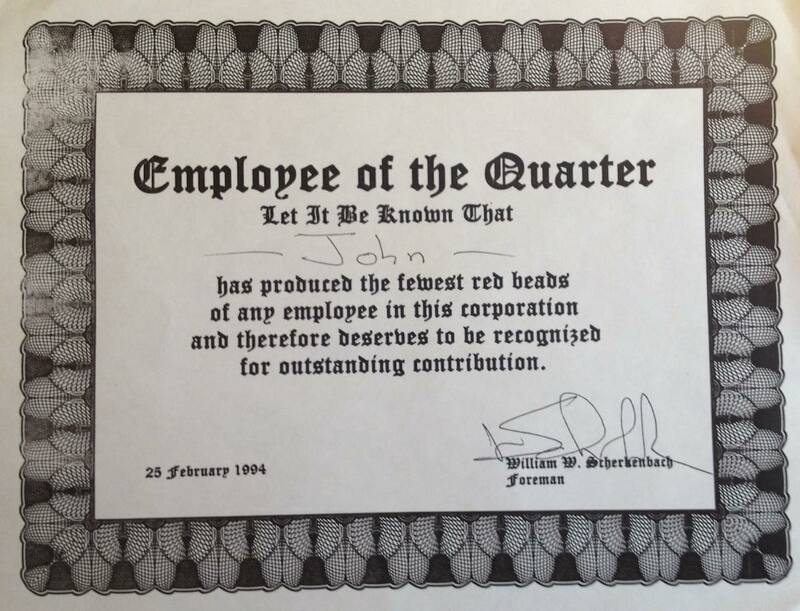 This entry was posted in Deming, Management, Performance Appraisal and tagged bonus, commentary, ethics, executive pay, leadership, management, overpaid executives, respect for people on November 30, 2009 by John Hunter.